Hello everyone. My name is Ron Way and I'm going to be your host here today on the AuthorTalkand Rising Light Media. I'm interviewing one of the foremost Jesus scholars of our time. His name is John Dominic Crossan. He is not only professor emeritus at DePaul University and bestselling author, he's also the creator of a new book entitled Resurrecting Easter. He's also a good friend of mine for well over 20 years. Welcome back to Author Talk, Dom. Very nice to be back with you, Ron, once again. Dom, this is one of the most unusual books that I've read from you. I've read some of your books that you go into archeological digs and so on and travel the world to do that. This is one of the most beautiful books that I've ever seen on the subject, but more importantly, you tell a story. A story of the resurrection that I have not heard before. One version for the Western churches and one version for the Eastern. I know that you and your wife, Sarah, traveled for over 15 years visiting sites such as Italy, Serbia, Greece, and Egypt. As well as Russia, Romania, Turkey, Syria to document your views and photograph the art which was done by Sarah. Welcome to the show, Dominic. Again, a pleasure to be with you Ron, thank you. Thank you. I'm jumping right in. There's over 100 beautiful images in your book. How many of these were done by your wife? There's 140 images over about 190 pages. When we started thinking about the book, we thought we'd just be able to use all photographs that Sarah took. We pretty soon ran into "Wait a minute, we need certain manuscripts, and you cannot get good TIF images from the Vatican library, for example, and publication rights by going in there and taking photographs. That they don't allow. There's a couple of chapters in there where we're using manuscript material and all of that. All of those had to be bought, quite frankly, running about 200 euros a piece, but even when they send them to you Sarah would have to take them into Photoshop, because very often they give you a full picture of the page and you just want the image on it. They might have the light meter right next to it so you really have to end up cropping even the ones that we were getting that we didn't take. Sarah I'm going to say is responsible for everything in there. Some taken directly herself and then in many cases Photoshop to improve them. You're in a darkened church and it's way up there and you do the best you can, because we don't have any right, of course, to bring in lamps and do all the rest of that stuff. The reason that Sarah's name is on that cover is because the book is based on the images. I had no intention to write a theology of Eastern Christianity's Easter. I really didn't. What happened is we were over there every year with the Borg-Crossan Pilgrimage taking 40 people around Turkey in the footsteps of Paul. That's what we're really doing, New Testament Pauline studies, and we kept running into this very different image. It really never started off as a planned 15 years' research. In the beginning, we didn't know what we were doing. We were just noticing this when we were somewhere doing something else, and we kept keeping records and finally we began to start looking for it. Going to deliberately say to [inaudible] or somewhere to see "Is this really the entirely Eastern standard traditional image of Easter? It's not a peculiarity say of Greece or Egypt or somewhere?" Dominic, maybe I'll stop you here just for a second. When you refer to the Eastern, what do you mean? I've read your book. Explain the difference between the Eastern and Western tradition in art. We're talking about what's usually called Eastern Christianity or Western Christianity. In the first thousand years of Christianity, that's not a particularly helpful distinction. It's geographic, but if you're trying to ask "Is Constantine in the fourth century Western or Eastern," it doesn't make any sense because you're leaving with a more or less unified Christianity. But after the huge split in the 11th century between the East and the West, between what we call Roman Catholicism and eventually Protestantism on the one side and Greek Orthodoxy or Russian Orthodoxy or Coptic Orthodoxy on the other, you really have a huge divide within Christianity that most of the West, to be honest with you, doesn't really recognize. It was almost certified by the fourth crusade at the beginning of what ... The 1200s I think ... When the fourth crusade was hijacked by the Doge [ed: senior most elected official] of Venice and instead of going to liberate Palestine as it was intended, it destroyed Constantinople. Once you have this split then, Eastern and Western refers to the basic split much earlier than, say, between Catholic and Protestant or anything else within Christianity. We're talking about Eastern Christianity, sometimes called Byzantine Christianity but it shouldn't be because it is Russia and Coptic and everything else. This is fascinating folks, and I've got a dozen questions here and I just want to get to them all. I want to tackle the title of your book first, Dominic. Your book is entitled Resurrecting Easter and is subtitled How The West Lost and the East Kept the Original Easter Vision. The title of your book implies that the "true" Easter was lost to the West a long time ago. That means not only for the Catholic Church but also for Western Protestant churches as well that came out of that tradition, and you believe that the Eastern church maintained the original meaning of the resurrection. How did you come to that conclusion and more importantly, what does that mean? What led you to that belief and what does it mean? Well, we started with two facts. The first fact is this, and this is a fact, not an interpretation. Every major incident in the life of Jesus, from the annunciation to the ascension, is described in the New Testament. The only one that's missing, there is no direct description of the Resurrection itself. There are certainly indirect ones of the finding of the empty tomb or apparitions of the risen Jesus but those are affects, results, consequences. The most important event in the entire life of Jesus is never described directly in the New Testament. That's a fact and it creates a problem. Into that vacuum as it were—let me not use East and West—two major depictions of the actual moment of the resurrection appear in Christian tradition. One appears in the West around 400. The other appears in the East around 700. The two of them are there, and I think in the first 1,000 years either could have become normative for all of Christianity. Either the individual one in which Christ is shown rising alone, magnificent glorious triumphant, but alone with caring soldiers all around. It's the traditional image you and I will find if you go into any church and see a picture of the resurrection. In the East, you have a universal resurrection in which Jesus is taking by the arm Adam and Eve, who represent of course the human race, our species. Not just two nice people or something like that. He's taking them out of Hades, the realm of death. Trampling down Hades, so the two visions that we get are absolutely different. I don't want to make a judgment on them, but they're very different. For instance, if you look at the crucifixion in a Constantinople basilica as it were in Istanbul today, and looked at one in Rome, you'd recognize the crucifixion. It's pretty much the same. With regard to the resurrection, you have two radically different iconographies, imagery, for Easter. I'm going to get into that subject, because I want to dig deeper into what you just said. You've said that all the Gospel events in the life of Christ are directly described except that most important, resurrection, and I assume you mean that particular moment when he is rising from the tomb, and that's what you're referring to as having no Gospel word-pictures. Am I correct on that? Of course, because if you think of the crucifixion, it's described there as if you were standing there, here's what you see. You don't get a description of the crucifixion for example in the New Testament by simply telling you about the Pieta image, Mary holding the dead body on her lap. You don't get the results. If you're reading about the annunciation, you're told the angel is coming and it's not simply recorded as what Mary tells Elizabeth after she goes to see her. Everything is described. Now, how much is historical is a separate issue, but it's described as if you were there. The flight into Egypt is described and you could imagine putting a camera there and seeing it. When you come however to the resurrection, you get lots of indirect descriptions. Women, men at the tomb. There's lots of different stories. There's so many stories of the results, the effects, the consequences, that they almost dazzle you. You say, "Well, wait a minute now. Wait a minute." If you were actually there at the resurrection, like the ascension, the ascension is described without any difficulty. People are there, and Jesus disappears into the clouds. All right, whatever you think about that, that's a description. Why isn't there a description of the resurrection? That's the first fact that to be honest with you most people don't seem to know. They talk about the resurrection when they're talking about the effects, which is perfectly valid, but it's not the same as any other [inaudible ]. It only says that the women saw the empty tomb, then left and never told anyone. There's our first reaction to this happening, and it isn't for another 20 years or so after Mark was written... People just don't understand. That's two decades later after Mark wrote that we get the stories of the risen Jesus physically appearing among his disciples. That comes from the remaining Gospel. Is that what you're talking about? I think that is what you're saying, right? How could it, because all the Gospels say that nobody was there. They buried him. They went away. They went back to their villages, or (depending on the source) they went back into Jerusalem. Nobody was there at night or early morning when he was resurrected, so is that why there's the difference. Well, what you're just saying there of course is their way of avoiding the issue. As I said, they have no problem ... Well, for example, the first six days of Creation in Genesis 1. Nobody was probably there. They were watching I guess. But they have no trouble describing it. They have no trouble describing the ascension. So when they say "Nobody was there" ... Well, they don't say it that way. What they say was, "He was buried and then they found the empty tomb" ... The vacuum that's created at the end of what is for us Mark 15 and the beginning of Mark 16, the vacuum there is their way of not describing this one thing that is most important. It's not that nobody saw it, because actually if you read Matthew carefully, Matthew thinks the soldiers actually saw it and were suborned and bribed to say, "Oh, no no, we were asleep and somebody took the body." But if you said to Matthew, "Okay Matthew, tell me what you think the soldiers saw before they lied." Or "Did you ever try to get ahold of them and talk to them? What happened to our master?" Exactly. 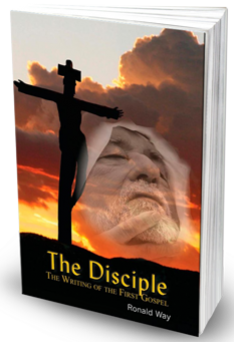 The first fact that this book begins with is that the most important event in the life of Jesus, the resurrection, has no direct description anywhere in the New Testament, and that is unique from annunciation through ascension. I keep mentioning ascension because the saints have no problem describing that. That is the first fact, and that generates the second fact, is that when individuals had to come and try and depict this, kind of if you imagine you were a learned painter and you're in say the year 400 and you're in Constantinople, and the emperor has just given you a big commission to take Matthew's gospel and to do a full page picture of every major event in the life of Jesus. Oops. How are you going to depict the resurrection? Well, of course you can do it with the empty tomb, but that's the result. You as an artist find yourself, "How? How do I do this? If it's not described, how do I depict it?" It took a long time for the artists ... That's why it took to the year 700 before we get that image with Adam and Eve, for they are imagining, "Okay, if you'd been there this is more or less what you would have seen." I understand absolutely what you've said, and I appreciate you taking the time to explain that. Now, because we have such a limited amount of time and I'm watching it on the computer go really, really fast, Dominic ... You state that Western Christianity depicts, and this is really the theme of your book ... Depicts an individual resurrection for Jesus when he rises alone to Heaven or God, but Eastern Christianity depicts graphically a universal resurrection for Jesus and humanity. All humanity, past, present, and future. What does that mean, Dominic? First of all, it cannot mean anything literal. You might be able to take the Western one literally if you wanted to argue that. There is no way this can be taken literally. This is a metaphor. When the hand of Jesus reaches out to the hand of Adam and Eve, you are dealing with a metaphorical vision. What does it mean? The Jesus we're talking about is the crucified Jesus. That's emphasized because he's always carrying a small cross, not a big wooden cross but a cross. His wounds are visible. The gates of Hades are in cruciform position. He's got a cruciform halo on. This is the crucified one. The question is, when you're looking at this image, and it's for anyone whether you like it or not, what does it mean to say the crucified one liberates the human race from death? For me, what it means is that Jesus was crucified for nonviolent resistance to Roman law and order, to the “normalcy” of civilization. I know that because Pilate made no attempt to round up His followers, which is what Pilate and the Romans did for violent resistance, like Barabbas. With nonviolent resistance they picked off the leader. I'm getting a message from this image that what will save our species ... I'm not talking about you and I. I'm not talking about you and I individually. We're going to die. But our species, Adam and Eve in other words, symbolically ... What can save them from the trajectory of violence which now, 2000 years after Jesus, threatens our continued survival as a species? The message from this metaphor is that the only thing that can save us from the trajectory of escalatory violence is nonviolent resistance to violence. That's the challenge, that's the meaning of the image. I want to get to that, but I'm still confused. Are you saying that in the Eastern tradition, that everyone will be resurrected? That Christianity in the East interprets Jesus' resurrection saves everyone? That's completely opposite from what the churches of the West say, which is individual salvation based on one's personal commitment and belief in Jesus. They have a different opinion? They have an absolutely different opinion, and it cannot be pulled back into the Western presumption that we're talking about Heaven and Hell after death and we're asking, "Is everyone getting out of Hell?" That's trying to fit the Eastern vision into the Western vision, and it just won't go. It's putting a square peg into a round hole. No matter what we look at it, it's an image and we're asking, "What can it possibly mean?" Not "Do I believe in it or do I even accept it?" That's a totally different thing. It's like we're looking at an advertisement. The first thing you have to decide is "What's the message I'm getting?" Okay. Now I got the message. Now I can say,.. Don't take it. Reject it/Accept it." If you look at the Western image, it's all about Jesus. Now you can build a theology of that. If you believe that this happened to Jesus, it's going to happen to you, you can build a whole theology on it. But that's built on that. There's nobody coming out with Jesus. In this other case, you're not talking about Hell. You're not talking about the next life, life after death. You might be talking about life after life on this earth, because the Jesus that we're talking about is never ... How would I put it? So glorified that you can't see the wounds. The wounds don't come from Heaven. They come from Pilate. They come from empire. They come from resisting violence nonviolently. This is the figure who's taking the hand of Adam and Eve. Any explanation of this, again I repeat just to explain it, to understand it, has to look at four figures. Adam and Eve, who represent the human race, Jesus, the figure we know about, who died, Hades, who simply is the guardian or the personification of death itself, and how does Jesus take the human race out of death? And we are not talking about Hell. Hell ain't there. Hades is not Hell. When the Latins translated Hades into Hell, they tied themselves in theological knots because as you just hinted, it looked like we're liberating everyone out of Hell, and that ain't good Church doctrine. Tape a second section? Okay. We're going to do that that. Of course. It isn’t even a big favor. No problem. Great. Ladies and Gentlemen, as you can see, this is fascinating to me and I hope it is to you. On the next segment I want to take Dominic back to the first century of Christianity, because I have some questions about that and how this trajectory got started, this whole thing that we're talking about, a Heaven and Hell and saving the whole humanity race. And maybe even talk Dominic about the interpretation of "It is because of the faith of Jesus in God rather than our faith in Jesus," that we changed our faith from one to the other. Let me just say folks, it's time to go for this week. We will have the second segment of this interview, so tune in or go to iTunes and download this for your enjoyment. The book is called The Historical Jesus: The Life of a Mediterranean ..." No it isn't. That was your first book, Dominic. Right. That's what we're writing way back in '91. That would be the Society of Biblical Literature, AAR Convention in the fall of '91. '91. Folks, it was just packed with other Biblical scholars who had come to hear Dominic with his radical new ideas, and he wowed the crowd. He's been declared an “expert” ever since. I count him as one of my dear friends on the Bible side or the spiritual side of my life. I don't know if you remember, Dominic, my first memory of meeting you was when we were at Harper San Francisco ... I think it was '93 ... At their offices, and there was a wondrful meeting of about a dozen religious authors, and your great friend and colleague Marcus Borg was there, and Bishop Spong... That was the first time I met him in person. He was kind enough to take my wife aside that night at Harper to comfort her, for we had just lost our grandchild. I've followed your career ever since and been honored to have interviewed you several times. Thank you, Ladies and Gentlemen, for joining us. Thank you again, Dominic Crossan, for your latest book. It's called Resurrecting Easter ... That's this one. Resurrecting Easter. Thank you for appearing on Author Talk, Rising Light Media Network. Thank you, Dominic, and we'll join you again next week. Thank you again Ron. Very welcome. Ladies and Gentlemen, that's it for now. It's time to say goodbye until next week when I will continue right here back with Dominic Crossan along history's trail into the world of the Bible, Jesus, and early Christianity. In the meantime, this is Ron Way, your host. Until next time then, I remain faithfully yours.